$5 to see 5 bands to celebrate the end of the semester – whether it marks your first year, or your last, you deserve to go all out. 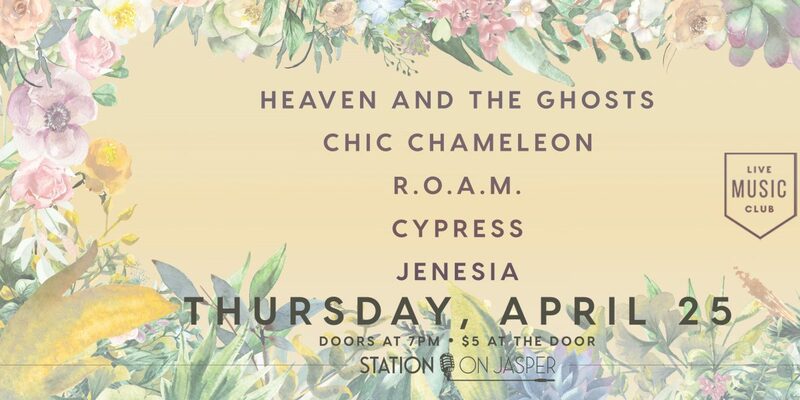 See live performances by Heaven and the Ghost (Folk/country duo), Chic Chameleon (Alt. ), R.O.A.M. (Hip-Hop), Cypress (Indie-pop) and Jenesia (Pop). Doors at 7PM. $5 entertainment fee.